It has been a tremendous Fall and already the snow has began to coat the ground and trees as we head toward the Holiday Season. We couldn’t think of a better time to release our latest episode while families are gathered this holiday weekend, and as we may already be thinking about our relationships to each other and towards our favorite places during this special time of year. 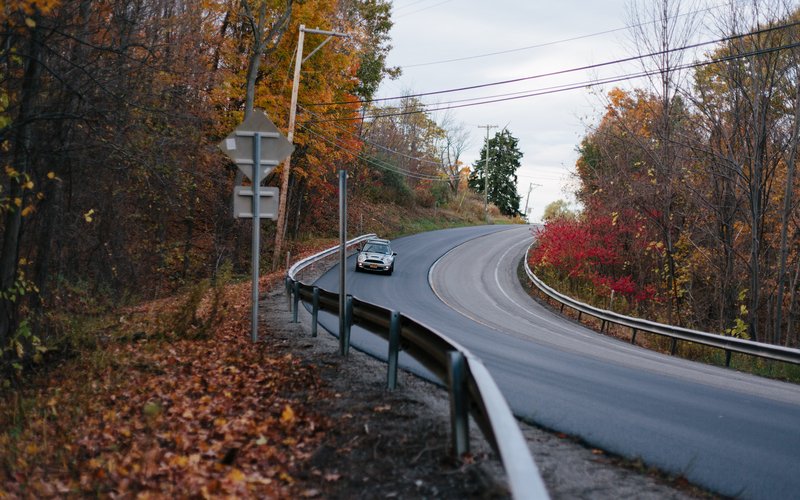 I was recently struck by the thought of so many using the “slow roads” to connect with the people and places that matter most to them – driving to mom and dad’s house for Thanksgiving Dinner, visiting other friends and relatives to gather, and meeting up with people in our favorite local places in our hometowns. Route 21S on the way to Naples, NY in our Mini. Episode 2 is a look and study of what it means to be “slow” and why it is important to our lives. The word slow takes on many meanings and has even been used to describe pro-local movements that include terms like “slow fashion” and “slow money.” We felt strongly that our first episode branded the idea of the roads themselves as we took a summer day drive to a nostalgic and retro drive-in. You may watch that Episode here if you have not already. Episode 2 is about learning why it matters to slow down and absorb that which is around you, and perhaps even more so than our first episode, discusses why it matters to connect with the people and places that matter the most, places that feel like our own sort of “home.” Our Episode features a beautiful drive via Route 31 East leaving the hustle and bustle of the City of Rochester on Monroe Ave to visit historic parks and main streets, and then finally a southern journey through the meandering hills and valleys along Route 21 South to Naples, NY. 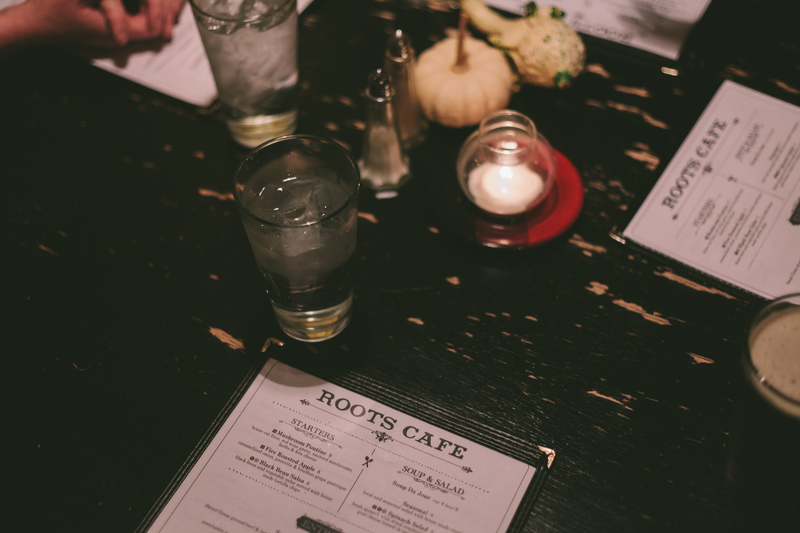 We ended our day at the appropriately named “Roots Cafe” located on Main Street in Naples – a converted Victorian farm homestead it serves as a perfect representation of all things slow and homely. 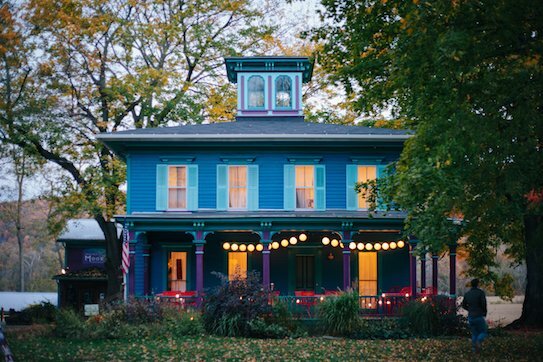 Roots Cafe features a farm to table menu that is rooted in its own local community’s agriculture and located in a former home itself. We invite you along our journey and hope you enjoy our latest episode, please do share this with your family and friends if you do and we hope you will explore the places we may have introduced you to! We encourage your continued support to help us continue to capture the spirt of place and people in an unprecedented way through Slow Road! To support our journey visit slowroadtravel.com/donate.